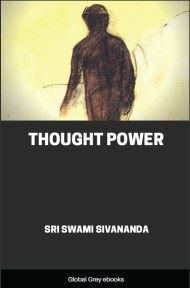 Swami Sivananda's Thought Power, is a book that tells you how to control your mind, enhance your concentration, focus your thoughts and direct it the way you want. A simple, straightforward, inspiring book that holds out many methods for the culture and nurture of thought power. While light travels at the rate of 1,86,000 miles per second, thoughts virtually travel in no time. Thought is finer than ether, the medium of electricity. In broadcasting, a singer sings beautiful songs at Calcutta. You can hear them nicely through the radio set in your own house at Delhi. All messages are received through the wireless. Even so your mind is like a wireless machine. A saint with peace, poise, harmony and spiritual waves sends out into the world thoughts of harmony and peace. They travel with lightning speed in all directions and enter the minds of persons and produce in them also similar thoughts of harmony and peace. Whereas a worldly man whose mind is full of jealousy, revenge and hatred sends out discordant thoughts which enter the minds of thousands and stir in them similar thoughts of hatred and discord. If we throw a piece of stone in a tank or a pool of water, it will produce a succession of concentric waves travelling all around from the affected place. The light of a candle will similarly give rise to waves of ethereal vibrations travelling in all directions from the candle. 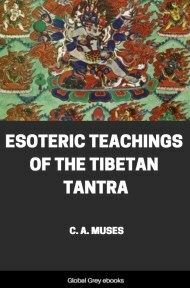 In the same manner, when a thought, whether good or evil, crosses the mind of a person, it gives rise to vibrations in the Manas or mental atmosphere, which travel far and wide in all directions. What is the possible medium through which thoughts can travel from one mind to another? 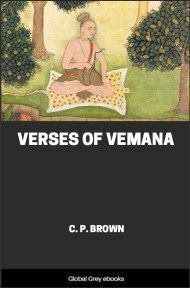 The best possible explanation is that Manas or mind-substance fills all space like ether and it serves as the vehicle for thoughts, as Prana is the vehicle for feeling, as ether is the vehicle for heat, light and electricity and as air is the vehicle for sound. You can move the world through thought-force. Thought has great power. It can be transmitted from one man to another man. The powerful thoughts of great sages and Rishis of yore are still recorded in the Akasa (Akasic records). Yogins who have clairvoyant vision can perceive those thought-images. They can read them. You are surrounded by an ocean of thought. You are floating in the ocean of thought. You are absorbing certain thoughts and repelling some in the thought-world. Everyone has his own thought-world. Thought is a finer force. This is supplied to us by food. If you read Chhandogya Upanishad—the dialogue between Uddalaka and Svetaketu—you will understand this point well. If the food is pure, thought also becomes pure. He who has pure thoughts speaks very powerfully and produces deep impression on the minds of the hearers by his speech. 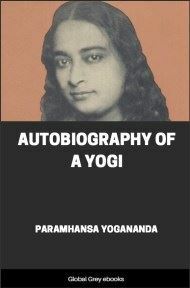 He influences thousands of persons through his pure thoughts. A pure thought is sharper than the edge of a razor. Entertain always pure, sublime thoughts. Thought-culture is an exact science. Those who harbour thoughts of hatred, jealousy, revenge and malice are verily very dangerous persons. They cause unrest and ill-will amongst men. Their thoughts and feelings are like wireless messages broadcast in ether, and are received by those whose minds respond to such vibrations. Thought moves with tremendous velocity. Those who entertain sublime and pious thoughts help others, who are in their vicinity and at a distance also. Thought has got tremendous power. Thought can heal diseases. Thoughts can transform the mentality of persons. Thought can do anything. It can work wonders. The velocity of thought is unimaginable. Thought is a dynamic force. It is caused by the vibrations of psychic Prana or Sukshma Prana on the mental substance. It is a force like gravitation, cohesion or repulsion. Thought travels or moves.